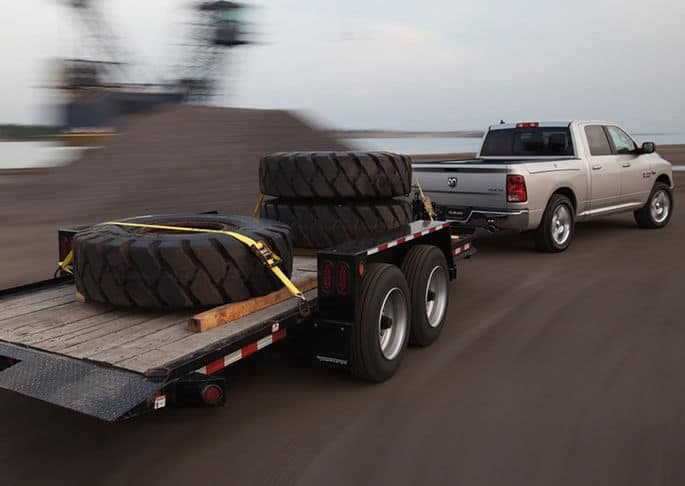 The 2015 RAM 1500 Tradesman is a trim of the very popular RAM 1500. It offers many convenience and entertainment features, but is most sought after for its off-road capability because of its excellent handling abilities. You can choose from a couple different types of engines, and the pickup seats three comfortably in heavy-duty seats. It is a great truck to have for outdoor and grounds work; however, it is good for casual drives as well. It is available in 4x2 and 4x4 drives. If you want a pickup truck that will help you do the job, then continue reading for more information. 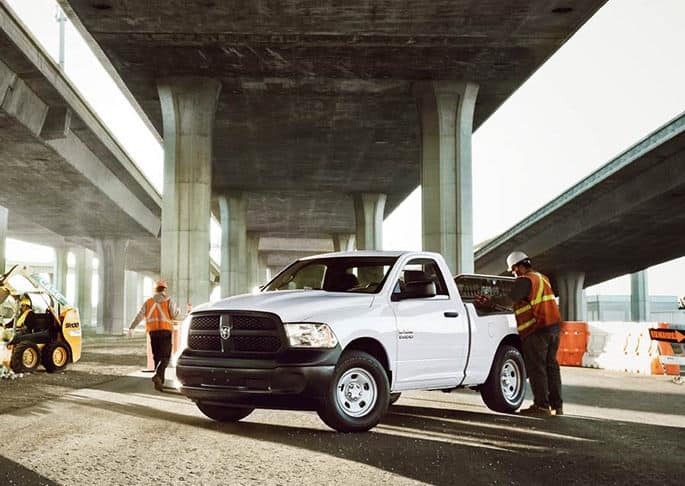 The standard engine for the 2015 RAM 1500 Tradesman is a 3.6 liter Pentastar V6, which is known to be very strong and capable. Alternatively, you can have a 5.7 liter V8 HEMI MDS VVT engine. A 3.0 liter V6 Turbo Diesel is also available. In addition to that, there is also an Eco Diesel engine that helps the driver save on fuel. This pickup truck gets 25 mpg highway and 17 city. The gas tank will hold 26 gallons. You will have an 800 amp maintenance-free battery. A TorqueFlite 8 eight-speed transmission is standard, and a 6-speed automatic 65RFE transmission is optional. An electronic shift is standard. The 2015 Tradesman can tow up to 10,650 pounds, and the maximum payload is 1,900 pounds. Inside, you will find a standard 3.0 Uconnect system and a high-quality radio that you will enjoy. You will have variably intermittent wipers for the not-so-ideal weather. An oil pressure gauge keeps tabs on your truck's oil status. An external temperature display allows you to find out how warm or cold it is outside, so you can make sure to put on or take off that sweater to make for a more comfortable walk from your truck to the office. Air conditioning is standard, as well as an electronic vehicle information center. There are two available interior colors. Outside, there is a standard spray-in bedliner and overall attractive style with a great shape. A Class IV receiver hitch is standard. The pickup is available in twelve exterior colors. On the front, you will see the official RAM badge. The pickup has an available Parkview rear backup camera to help you back out of parking spaces while seeing what is behind you. Electronic stability control and speed control are standard, and so are advanced multistage front airbags with supplemental front seat-mounted side airbags and different side-curtain airbags. You will have an overhead airbag, too. You will have a Tire Pressure Monitoring Display so you know when to fill up your tires. Make it difficult for someone to run into you from behind with a bright rear bumper. Fully automatic headlights kick in at night and during inclement weather to help you through those dark drives. 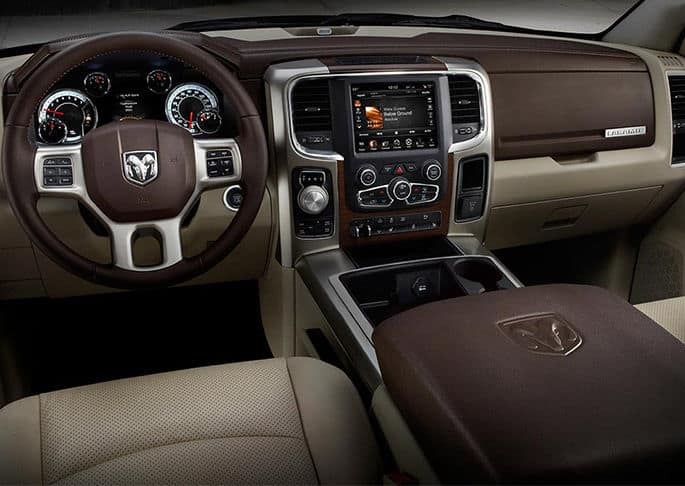 Come check out and test drive a 2015 RAM 1500 Tradesman to see how it could be your new friend for the road!